When deciding on who to commission to make your fingerprint jewellery you need to rely on recommendations. Unfortunately there are fingerprint jewellers out there who do not take the time and attention needed to create the jewellery and make it into a work of art. Anything that is going to represent a memory needs to last a lifetime. It is devastating for you as the customer, to capture the memory of tiny fingerprints only for the jewellery to disintegrate 5 years later and for there to be no way of there ever being a replacement. Many people are setting themselves up in business as fingerprint jewellers. It’s an amazing job, working with parents, grandparents, carers and children. Particularly in working with the little ones who bring a constant variety of humour and not to mention the occasional challenge, to the working day. It is the ultimate reward to receive the thanks from the customer for their truly loved piece of jewellery. With it being such a loved profession there are people who may wish with all their heart to make high quality jewellery. However, for whatever reason, (e.g lack of training, not using the best raw materials,) they simply cannot achieve what the customer is rightfully expecting. Or maybe worse – achieve it on a superficial level but for the jewellery to corrode at a later date. 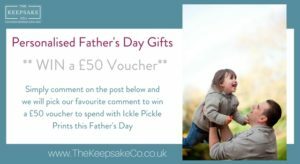 We take particular pride in making sure all of our associated members of The Keepsake Company love the jewellery as much as you do and are able to offer that high, sustainable quality you are expecting. We provide constant training in product techniques and offer feedback and support to our artists to help them keep their high level of reputation. Even more so, our members receive peer support so they can see the standard of other businesses and be much more involved and updated within the fingerprint jewellery profession. That’s why we are confident in sharing with you our top fingerprint jewellery companies recommendation list. Have a look at our directory to find an artist close to you. It is not always necessary to be face to face with the artist for prints to be taken. So if you like someone’s range do contact them, as a lot of the time kits can be sent out to you for you to easily take your own prints of tiny hands and little feet and send them back. 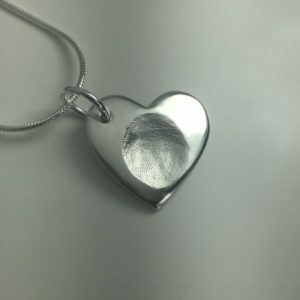 Have a look at our top recommended fingerprint jewellery businesses. We are sure you will be delighted with what they can offer. ← What kind of keepsakes are there?